Families all across the world have pets. We live with them, cuddle with them and find joy simply in having them around. Many people have a very real emotional connection with their pets. Unfortunately, these lovable fur-balls can also be very problematic for family members with allergies. Many people with pet allergies experience a runny nose, sneezing, hives, and itchy or watery eyes. In extreme circumstances, some individuals also experience difficulty with breathing. Some pet lovers may even exhibit signs of asthma. The allergic reactions that people have to pets come from their exposure to the skin scales of their animal. As pets shed their old skin, their dander can get into a person’s eyes, nose or throat and create irritation. Since the dander is so small, you can’t always see it. This lack of visibility makes it easier for the particles to transfer, without your awareness, from one location to the next. And, obviously, if you can’t clearly see this substance then that makes it all the more difficult for you to maintain a clean and dander-free home environment. 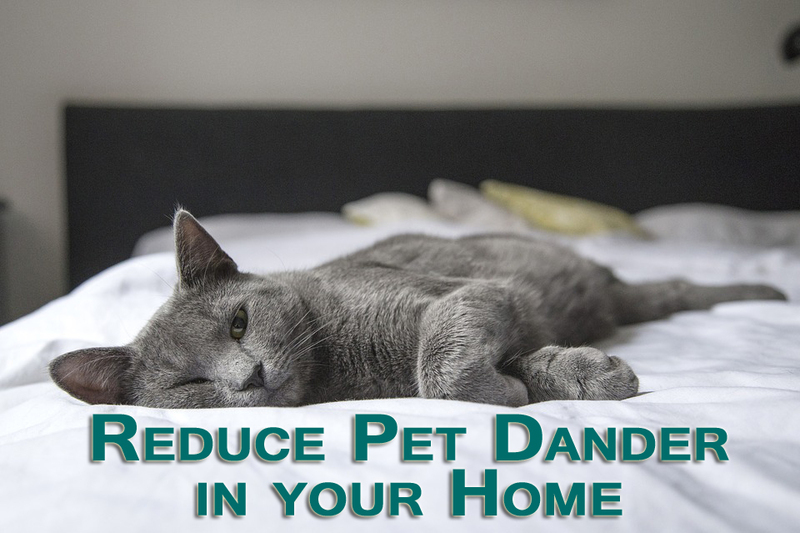 Your pet’s dander can be found in various places around your house including your carpeting and furniture. Pet dander is commonly found in the air. You can’t see it or smell it, and often times it is in the air for several hours before it settles down on your furniture and carpet. It would be wise to get an air purifier for pet dander and keep it in the room where your pet spends most of its time. You should be regularly washing your pet in order to get rid of the dead skin cells that they have shed. The more often you give your pet a bath, the less risk you run of experiencing allergy symptoms. Dusting as often as possible will keep dander (as well as other allergens) to a minimum. Vacuum often. Vacuuming once or twice a week will reduce the surface dust mites and animal dander in your home. Use a high quality 3 stage HEPA filter type vacuum. It is also important to keep up with regularly scheduled deep cleaning of your carpets. 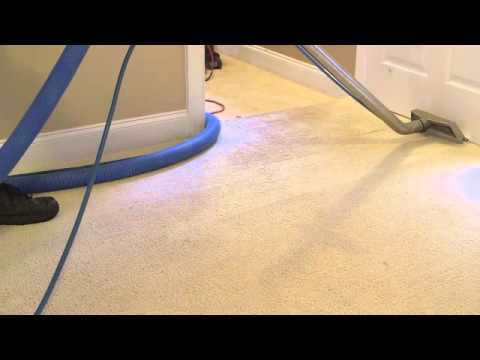 A deep carpet cleaning will remove allergens that are not easily removed with regular vacuuming. Contact Golden Glove today to schedule a deep cleaning of your carpets. If it’s been awhile since your upholstery has been cleaned, we also offer upholstery deep cleaning to remove pet dander from your couches and chairs.